Ka’anapali, Feb 1–Yes, reading and water do mix–that is if you hold the book high over a swimming pool and turn the page without a wet hand. A scene not seen very often at resort pools in West Maui. 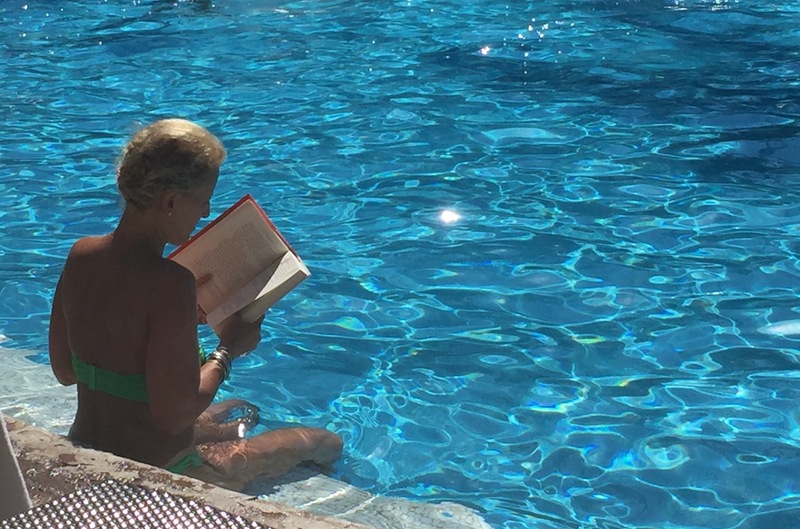 Makes an author thankful that reading can trump swimming as a fun activity.